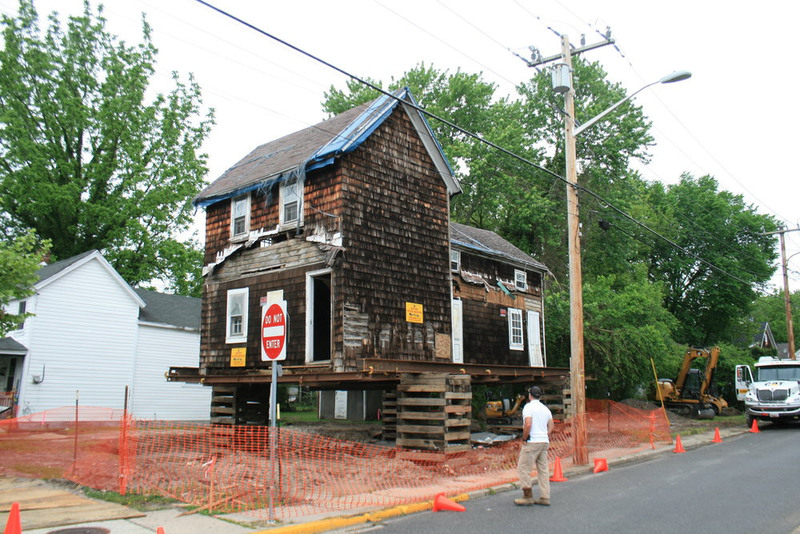 The historic Buffalo Soldier House in Easton, MD has been lifted high in the air to allow a new foundation to be constructed underneath. Previously the house sat just a few inches above the ground. Plumb bobs will be dropped from the irregular base of the house to locate the new foundation wall. After being set down, the interior will be renovated and the porches will be rebuilt.